To demolish No. 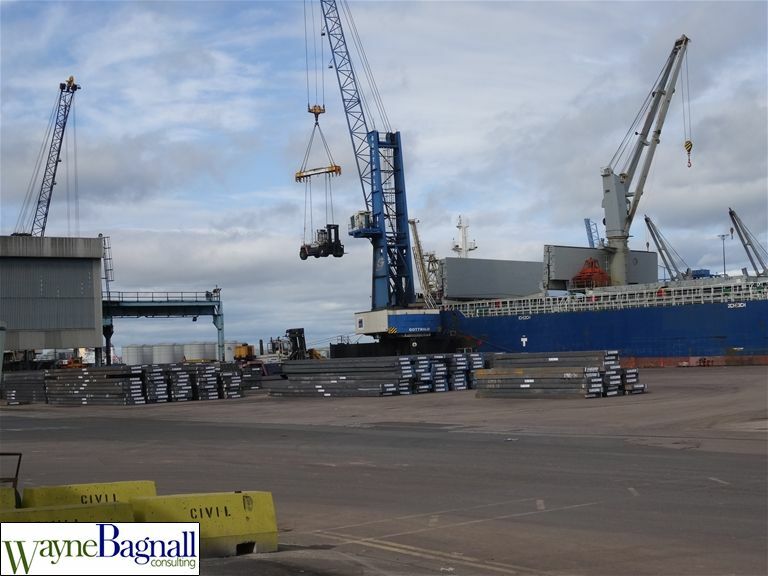 1 Quay for PD Ports at Teesport, Middlesborough being a 1960's post-tensioned (PT) Reinforced Concrete Quay of approximately 1000m long x 27m wide in 3 phases of approximately 300m+phase. 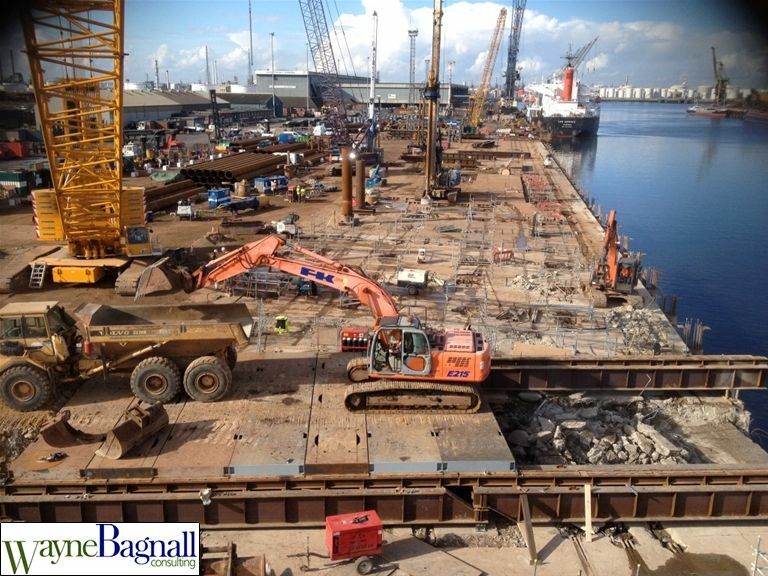 This project however is not simply a demolition it is a partial demolition as the PT columns are to remain in-situ and a NEW upgraded Quay is being installed on the existing footprint whilst the remaining sections of the quay are continuing to operate servicing vessels with 30T steel billets etc. Being on the original British Standard drafting committee for BS6187; Code of practice for demolition in addition to contiributing to the current BS6187: 2011 Code of practice for full and partial demolition McL&H engaged Wayne Bagnall Ltd top provide technical support for this challenging project. 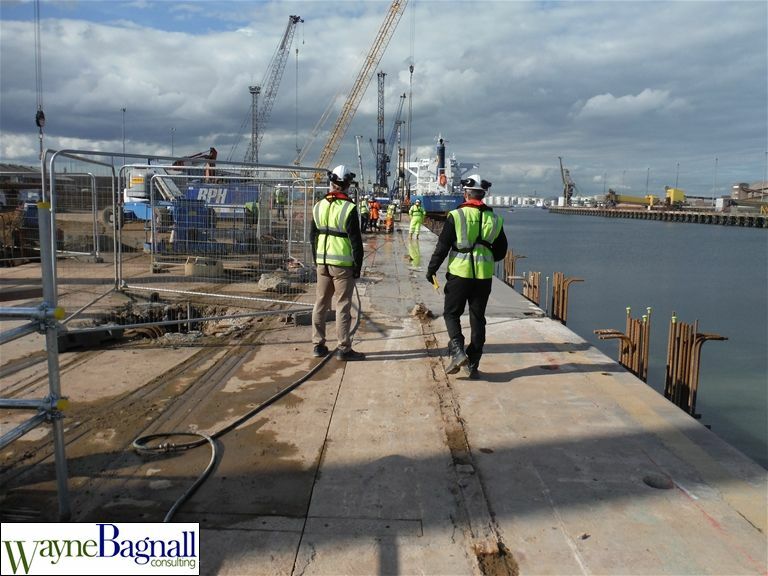 The Client; PD Ports in conjunction with their team; CDMC, Resident Engineer, Mr Stephen Pugmire Royal Haskoning (RHDHV) and RPS etc have assembled a competent and adequately resorced team under the PD Ports Project Director, Mr Mark Pearson. Following a project review and a meeting at McL&H Head Offices in Belfast the outline Demolition Methodology and Sequence was developed in accordance with the BS6187 and CDM 2007; Regs 28 & 29. A 2 day bespoke Demolition Safety Management course was held on site at PD Ports for the key team members. One of the key issues was ensuring the safe de-tensioning of the PT main beams and lateral PT through the RC Canoes, this is being done remotely using a combination of Diamond steel circular saws and Diamond wire rope cutting. Following the training McL&H set up a "Demolition Safety Management" committee under William-John Cunnigham allocating specific tasks to the other members and assisted by Wayne Bagnall Ltd.
Main demolitions commenced mid October 2014 as illustrated in the 3rd photo.